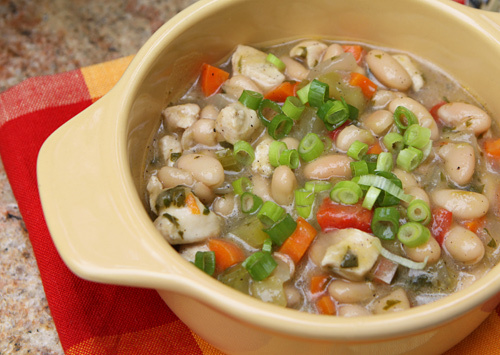 This soup is a family favorite in my house, and I often double the recipe and freeze a portion to be used on busy days. All this dish needs to make it into a complete meal is a nice crisp, green salad, and a loaf of crusty, Italian bread. Chicken breasts are a good low fat source of protein. 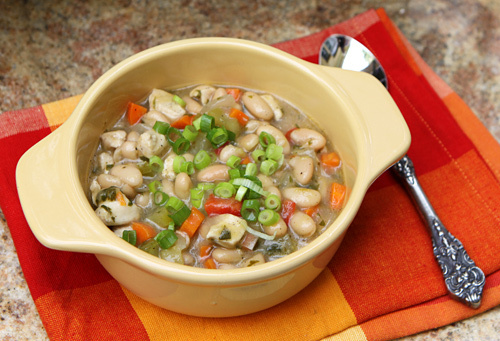 Adding chopped vegetables like carrots, celery, onions, and sweet peppers add nutrients and help make this chili very hearty and satisfying with minimal calories. 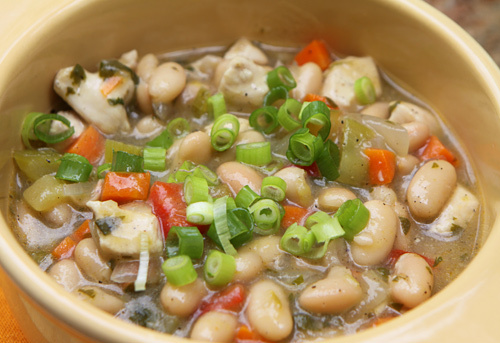 This white bean chicken chili is satisfying and delicious but low in fat and healthy too! Remove the chicken to a bowl, and add the vegetables to the pot. Cook until they begin to soften. Adjust the seasonings as needed, and cook then add 1/4 cup of the cornmeal to thicken. Continue to cook, stirring often, until the soup has thickened, about 10 minutes. Serve hot, garnished with chopped green onions and a spoonful of sour cream.